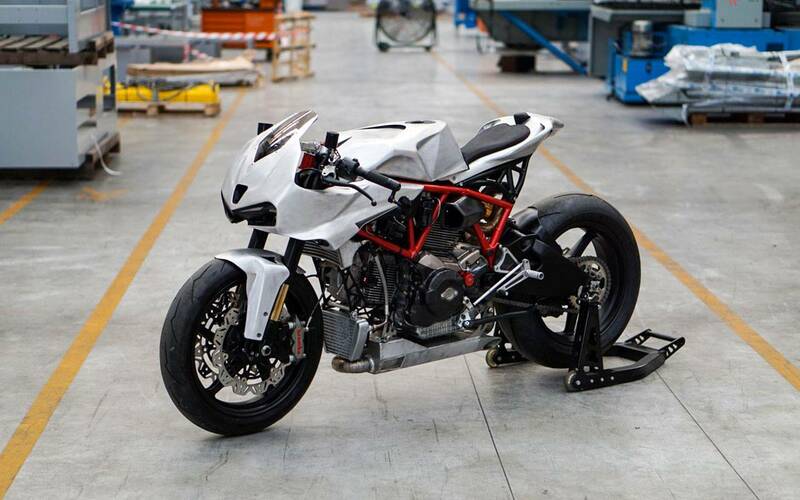 Today we are featuring a Ducati SuperSport Cafe Fighter built by Italian Bike Designer Simone Conti. He Built bikes in his leisure time whenever he is not busy in his family business. This bike was built by him for himself. 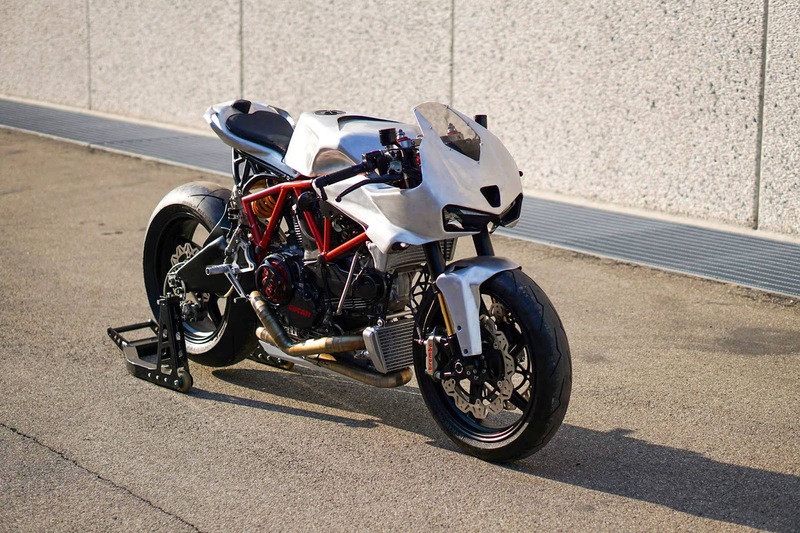 For this bike he bought a Ducati Supersport 1000. He fully built the entire body of this bike. He cut the rear frame and built a new rear aluminium frame. The fairing is all aluminium, the gas tank holds 10/11 liter because the bike is very small and under there is original air box. LED Headlights cutouts are filled with sportiness. 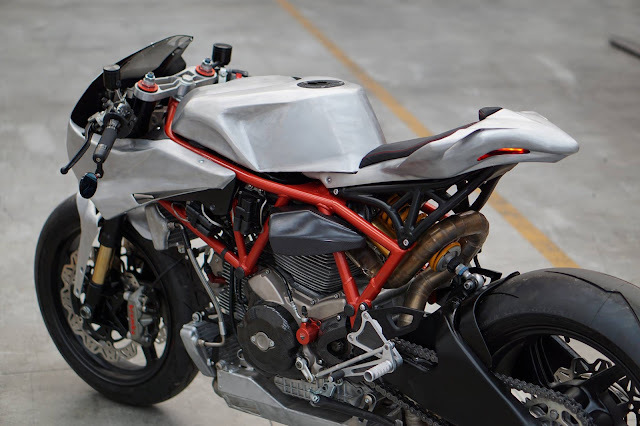 The windshield is from another Ducati. The forks are from a 998 but he has changed the feet with the style performance feet. He built the exhaust system with inox , and the silencer with aluminium. The instrumentation was kept original. The mirrors, knobs, brake oil cans, are from Rizoma. The disc brakes are RMS. The front brake are a Brembo m4 from 108mm.